Marc Sneyd’s drop-goal in golden point extra-time handed Hull FC their first win in 14 games as they won 23-22 at Wigan. Adrian Lam made three changes to his side that lost to Sydney Roosters in the World Club Challenge last week. Jarrod Sammut and Liam Byrne made their debuts, while Taulima Tautai also came in for Wigan. 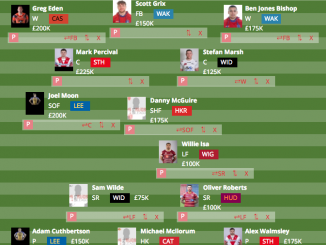 The trio replaced Tony Clubb, Liam Farrell (injured) and Romain Navarrete. Hull coach Lee Radford made two changes to his outfit that lost to Castleford Tigers last time out. Gareth Ellis came out of retirement and new Fijian recruit Ratu Naulago made his debut. The pair replaced Scott Taylor (suspended) and Hakim Miloudi for FC. Oliver Gildart opened the scoring for Wigan, before Carlos Tuimavave, Joe Westerman and Naulago put Hull in the lead. 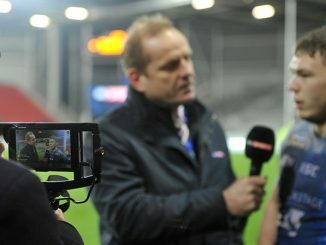 Byrne scored for Wigan late on in the first half while Tautai was sin-binned for a dangerous tackle. FC led 16-12 at the break. Naulago put Hull further ahead shortly after the break, before Wigan came back with tries from Ben Flower and Oliver Gildart. Hardaker failed to convert Gildart’s late try and the game went into golden-point extra-time with the score tied at 22-22 after 80 minutes. 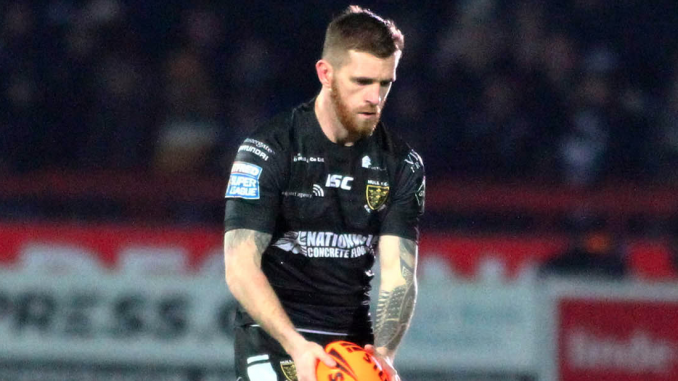 Sneyd slotted the drop-goal just two minutes into golden-point extra-time, which was the first time a Super League game has gone into golden-point this season. 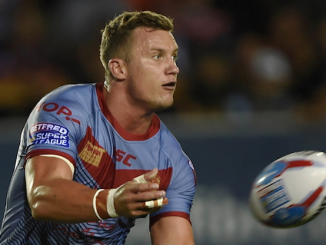 Prior to the game, Ellis had not made a competitive appearance in rugby league since hanging up his boots at the end of the 2017 season. But after helping make up the numbers for the Black and Whites in a reserves match last weekend, FC coach Radford was impressed by Ellis and persuaded him to come out of retirement for their trip to Wigan. Ellis, who has the number 34 shirt at Hull this year, made his presence felt on the field and it certainly had an impact on the Black and Whites. He came up with a couple of big hits and made some hard yards. Ellis turns 38 in May, but he proved that age is just a number when it comes to rugby league careers. 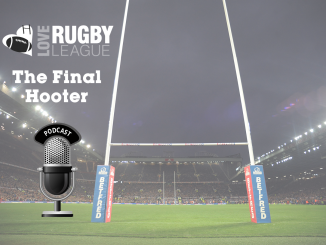 Whatever your opinion was on golden-point being brought into Super League at the start of the year, it’s hard to deny that the concept is entertaining. When the score was level at 22-22 after the regular 80 minutes, the atmosphere ramped up at the DW and it got both sets of fans on their feet. It was tense. It was fiery. It was nail-biting. 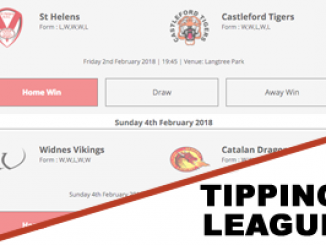 Super League will certainly be more entertaining this year because of the golden-point concept, and it was just a shame that the match wasn’t televised for everyone to see. Sammut and Byrne made their competitive debuts for the Warriors and their performances would certainly have left coach Lam with a healthy selection headache for next week’s game against London Broncos. Malta international Sammut organised Wigan very well around the park, and the team’s attack looked much sharper once he came on the field. Meanwhile, Ireland international Byrne made a big impact when he came off the bench in the middle of the park. The academy product even got a try on debut, which will stick with him for the rest of his life. Wigan: Hardaker (6); Davies (7), Gildart (8), Sarginson (6), Marshall (5); Williams (6), Leuluai (5); Bullock (6), Powell (7), Flower (7), Greenwood (5), Isa (5), O’Loughlin (7). Subs: Tautai (4), Byrne (7), Hamlin (7), Sammut (7). Hull: Shaul (8); Naulago (8), Tuimavave (6), Griffin (7), Faraimo (7); Connor (7), Sneyd (7); Paea (7), Houghton (8), Matongo (7), Manu (6), Minichiello (6), Westerman (8). Subs: Ellis (8), Thompson (6), Lane (6), Litten (6). Hull FC won for the first time since June 29, so it’s been a long time coming. It was a determined and gritty performance from Radford’s side, whose attitude pulled them through the game. Ellis had an enormous impact on the game. He performed very well but it was his leadership that stood out more than anything else. A true warrior of the game, and one of rugby league’s greats. As for Wigan, it seemed like a World Club Challenge hangover. Their defence on the edges looked weak and they didn’t seem as sharp as they did with the ball in hand as they did against Sydney Roosters last Sunday.